I don't know what it's like where you live, but summer has come to a screeching halt here in Maine. I'm sitting in front of a little electric heater as I write this. It seems almost silly to be blogging about clothes that most likely won't get worn again until next summer. Bear with me, but here goes. 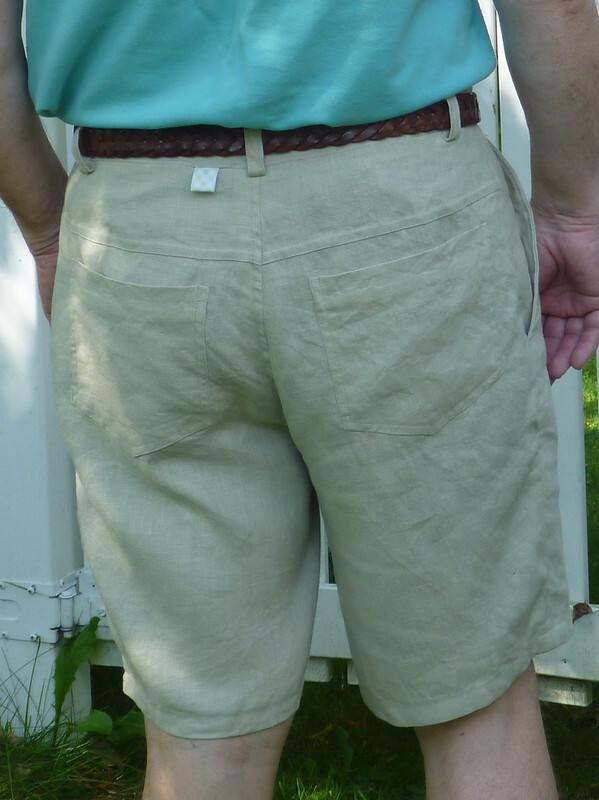 I managed to bang out two pairs of linen shorts in time for the Labor Day wedding. Both are Thread Theory's Jedediah pattern. 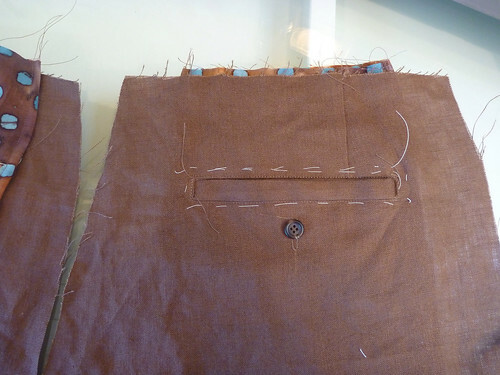 One pair is made according to the pattern, with back yoke and patch pockets. 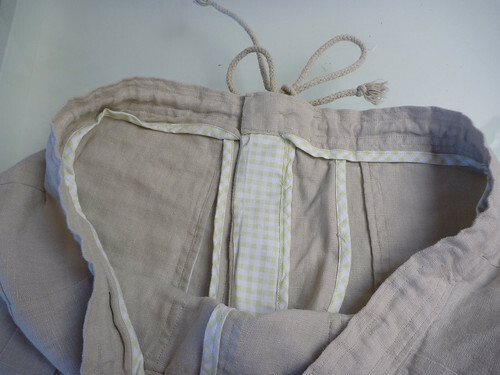 The other is made without the yoke, it has back darts and welt pockets. Here is a link to a tutorial on the Thread Theory website that shows how to make this change. 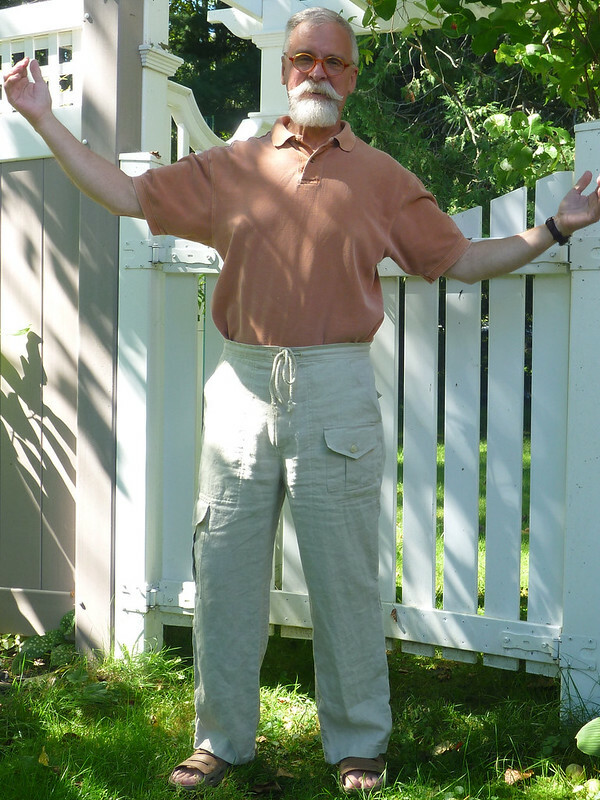 The Jedediah pattern is already my "go to" pant pattern. 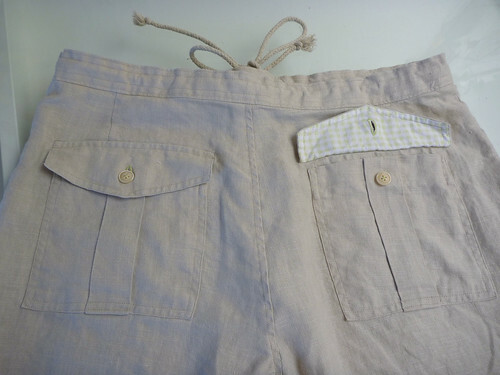 Having the ability to change the back pockets makes it even more indispensable. First up, the patch pocket version. 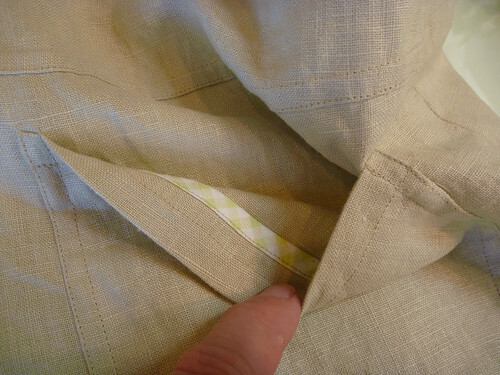 The patch pockets are finished off with gingham bias binding. 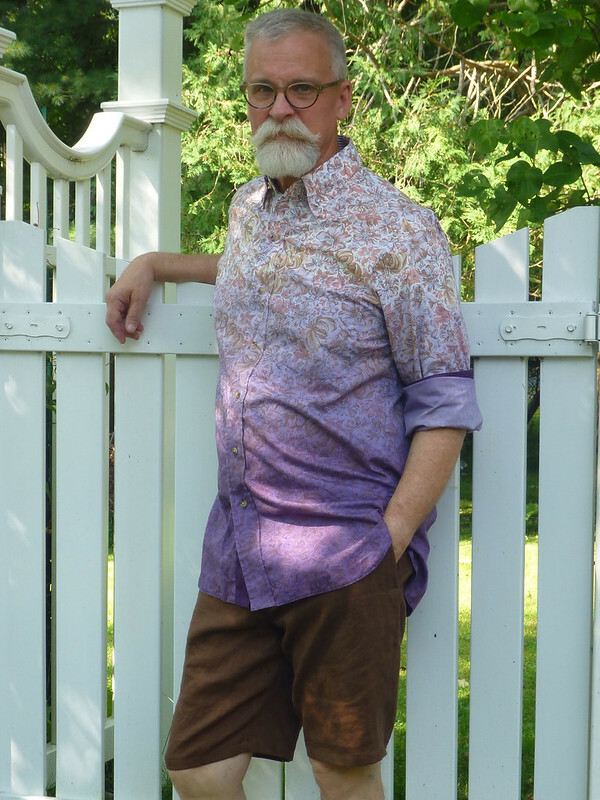 Here I'm wearing them with my new linen camp shirt. 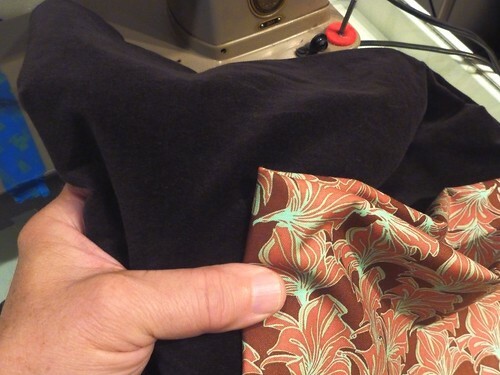 The Jeds shorts can be rolled up to expose the binding at the side seams. I tried it, but decided it just wasn't working for me. I'll leave that look to younger guys with better legs! The patch pockets are placed a little higher than specified in the pattern. It just works and feels better for me. I added a little gingham tag just for fun. 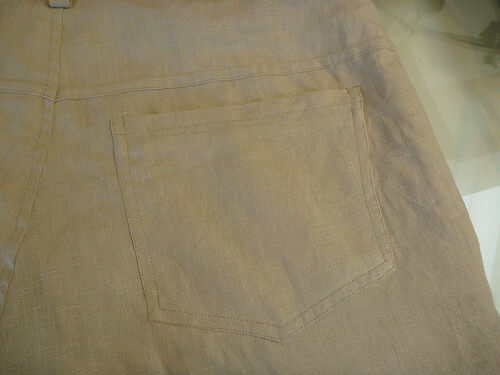 Here is the welt pocket version in process. The Thread Theory tutorial shows how to redraft the back and add the dart. 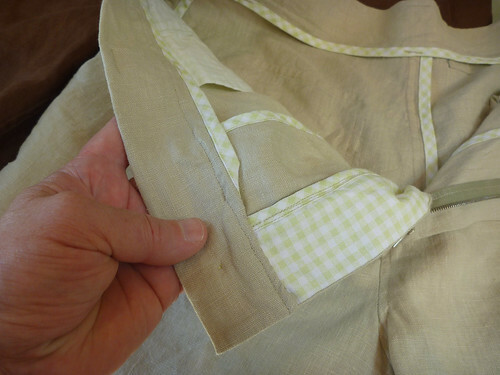 It also details how to construct the pocket. I opted to use Roberto Cabrera's pocket instructions because I'm more familiar with them. Either way, it looks complicated but it's WAY easier than you might think. 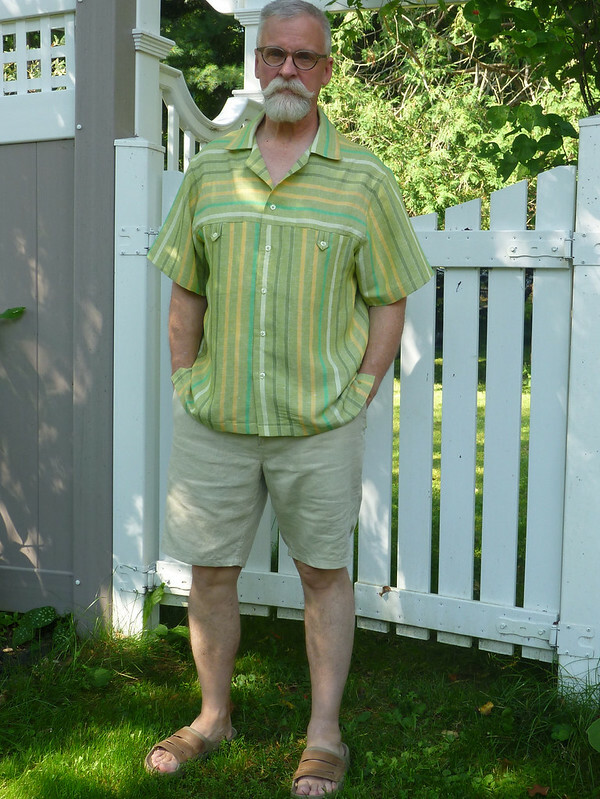 I have an earlier PDF of the Jeds pattern, and have changed the sequence of sewing them up. I make all the pockets first and then move on to the fly. I sew just a few inches of the crotch seam. It keeps everything flat, and makes constructing the fly much easier. Once the fly is finished I sew the flat felled inseams. Then I move on to the outer seams. It will look the picture above. I leave the crotch seam till last. Here is the completed inside. 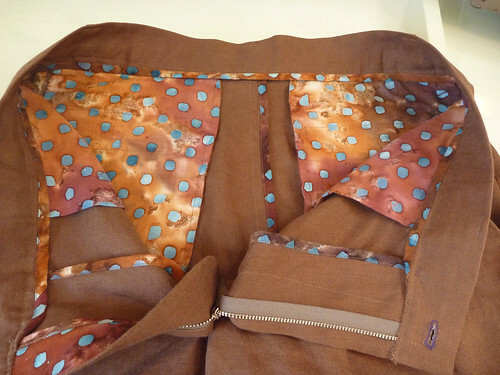 It takes a yard of cotton fabric, a batik in this case, to make the pockets and bias binding for a pair of Jeds. This batik was only $5. Well worth the additional expense and time spent to have such a fun finish on the inside. I love it. I'm a big brown / purple combination fan. That's it for summer sewing. In retrospect I accomplished a lot this season. A suit, two shirts, two pairs of shorts and a last minute pair of cargo pants. 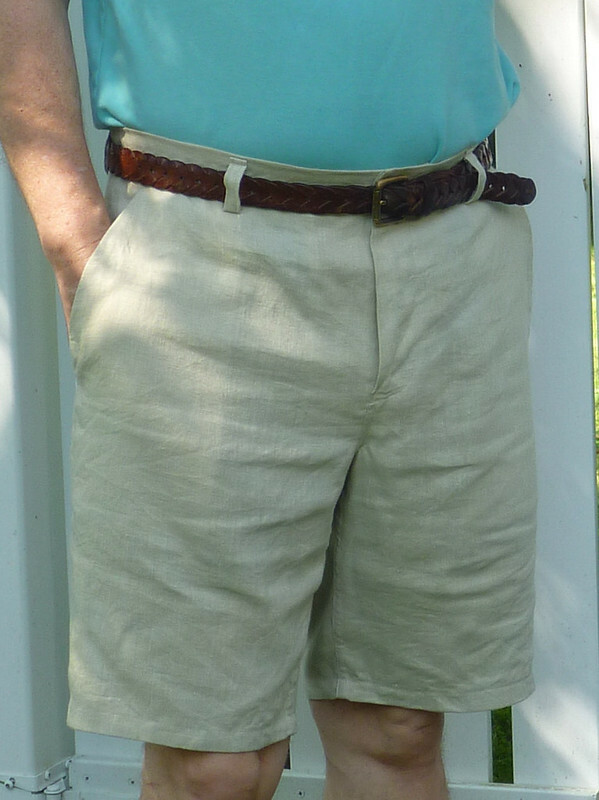 I still have material for another pair of shorts, but I'm totally over them. Into the stash it goes until next spring. 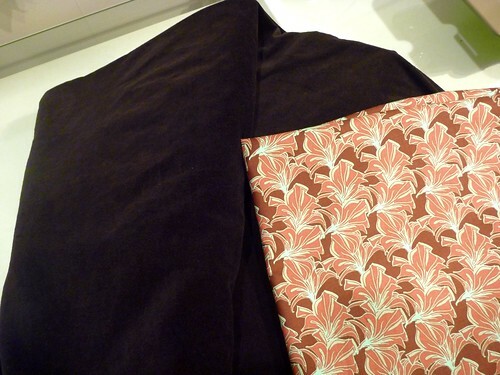 Dark brown velvet Jeds with a somewhat William Morris fabric for the pockets and trim. Fall has arrived! 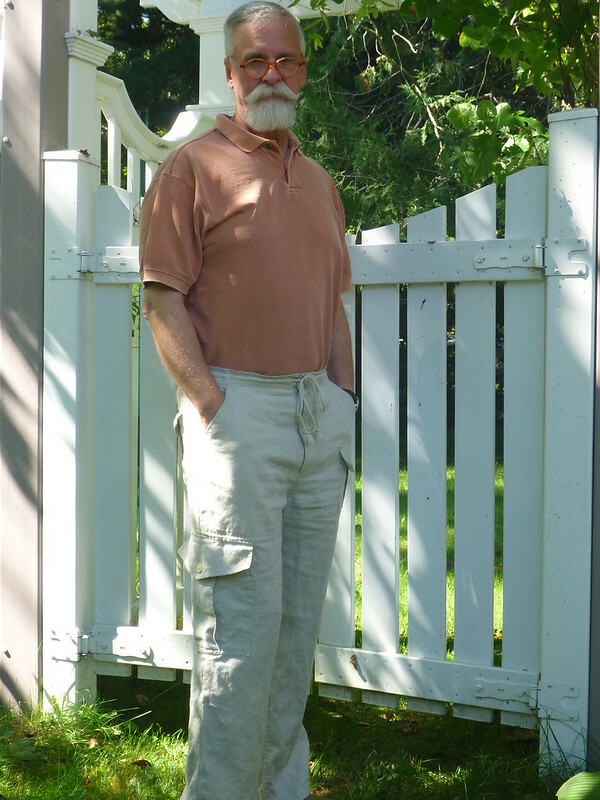 The man who said he'd NEVER wear cargo pants! 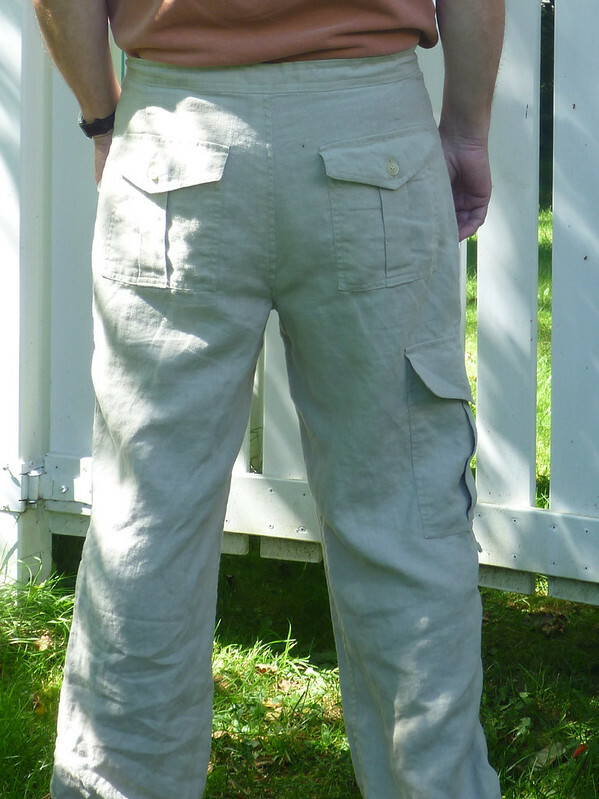 Honestly, I never saw myself as the cargo pant type. But let's face it, there aren't a lot of choices out there for us guys. I really needed up spruce up my wardrobe for last weekend's wedding, part of which involved a "casual attire" rehearsal dinner. I really wanted something different. 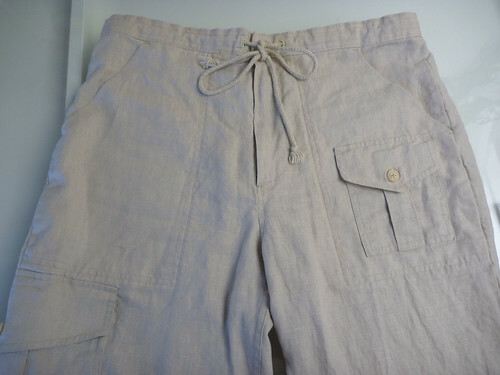 And since linen practically screams "summer casual", I set my sights on a pair of loose fitting linen pants. Enter McCall's 2815. 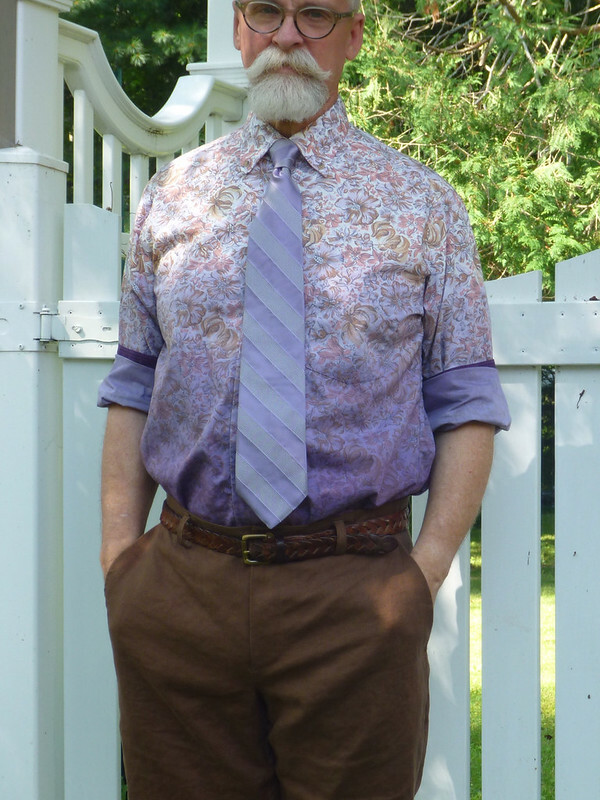 I will tell you right now that this is the MOST dreadful menswear pattern imaginable. If you're thinking of making a clown costume for Halloween, you've got the bottom part covered with this pattern. They're beyond huge, sort of like having wings behind one's legs. There's loose, and then there's absurd. 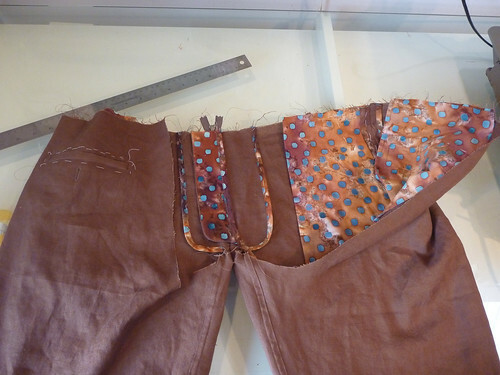 Adding to the horrors, a total of 3" has to be eased into the waistband. I'm sorry, but no guy wants his pants gathered onto a waistband. Isn't the drawstring supposed to take care of that? Who thinks up these things? Essentially, I remade the whole pattern .... just in time to catch the ferry to Martha's Vineyard. Loosely based on version B, with a decidedly asymetrical vibe. I added darts to the back to take up the 1.5" of ease, and drafted pockets and flaps based on the pockets from my safari jacket. This pattern does not include back pockets (another strike against it). 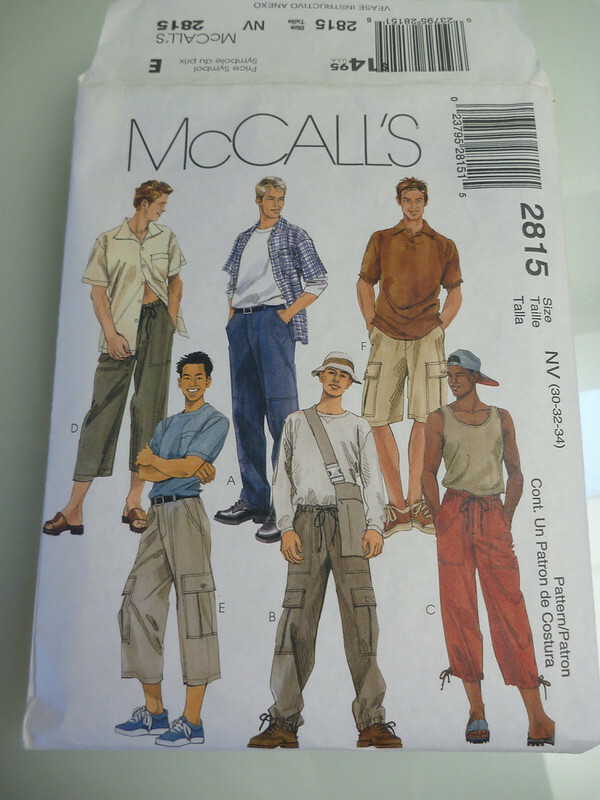 Dear McCall's, most guys like to carry their wallet in a back pocket. The side pocket was the only original part of the pattern that I used. I drafted a different flap for it, however. 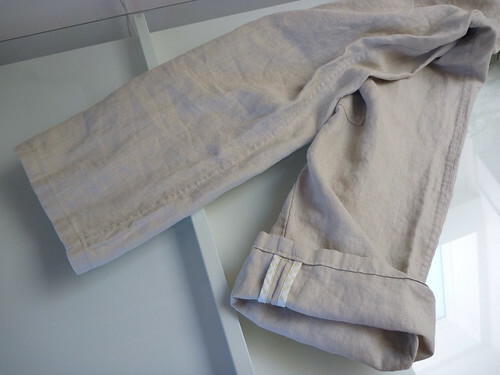 I adapted the fly and zipper shield from Thread Theory's Jedediah pants. I am more and more thankful for this pattern all the time! Pocket flaps are uninterfaced. Lined with a pale green gingham from JoAnn's nursery collection! Fabric from Gray Line Linen. Cording and buttons from Pacific Trim. The cording was a perfect match! Thank you sewing gods. Flat felled inseams, outer seams with bias binding, a la Jeds. It makes for such a beautifully finished pair of pants. Well worth the little bit of extra effort. 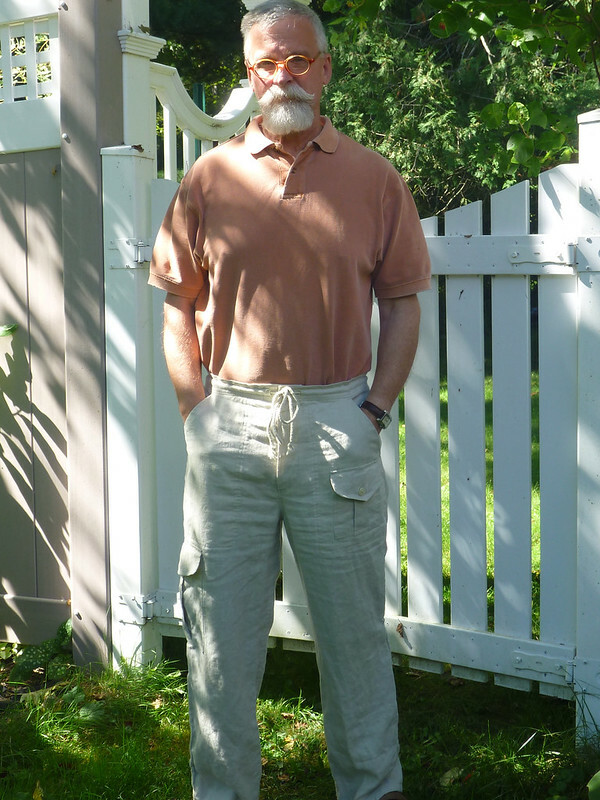 Cargo pants for the old man. Who says you can't teach an old dog new tricks! Now if summer could only last a little longer. 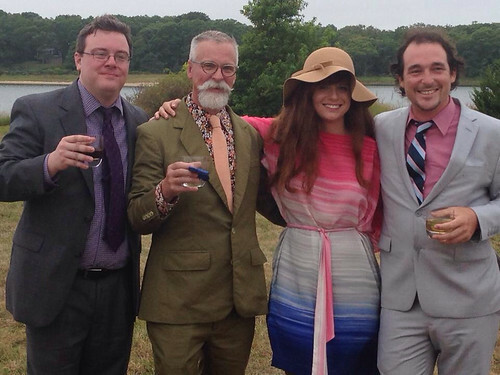 The wedding took place on Martha's Vineyard last weekend. To say it was a fabulous time would be a huge understatement. 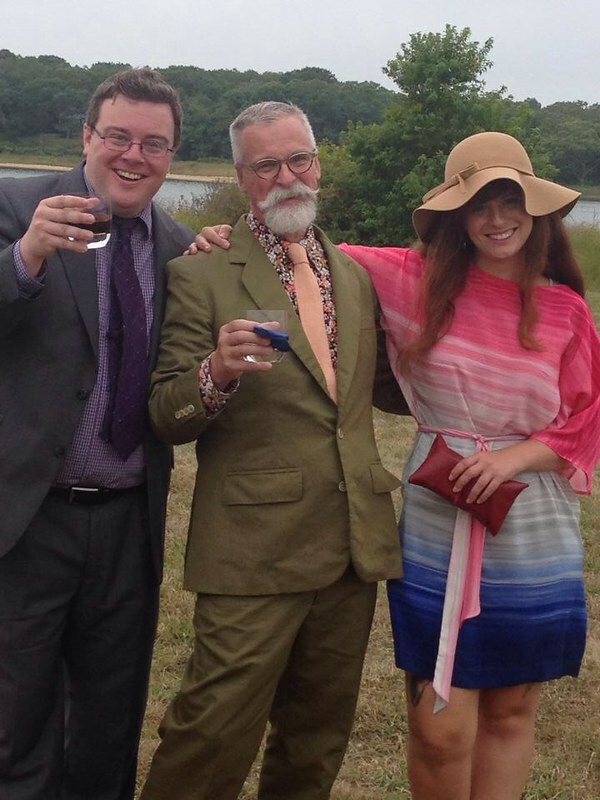 Not only was it the most extravagant wedding I've ever attended, it was a chance to spend time with my far-flung children. They were truly the "icing on the cake" of the whole affair, and a reminder that being their dad is the best thing in the whole wide world. 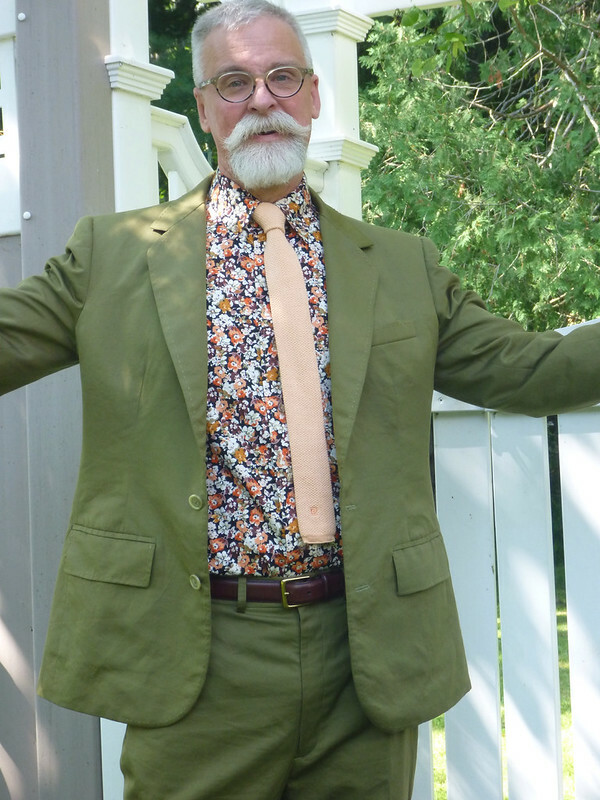 So here's how it all turned out ... Suit and shirt fabrics from Elliot Berman Textiles. Neck tie - vintage cotton knit Pierre Cardin, found on Etsy. 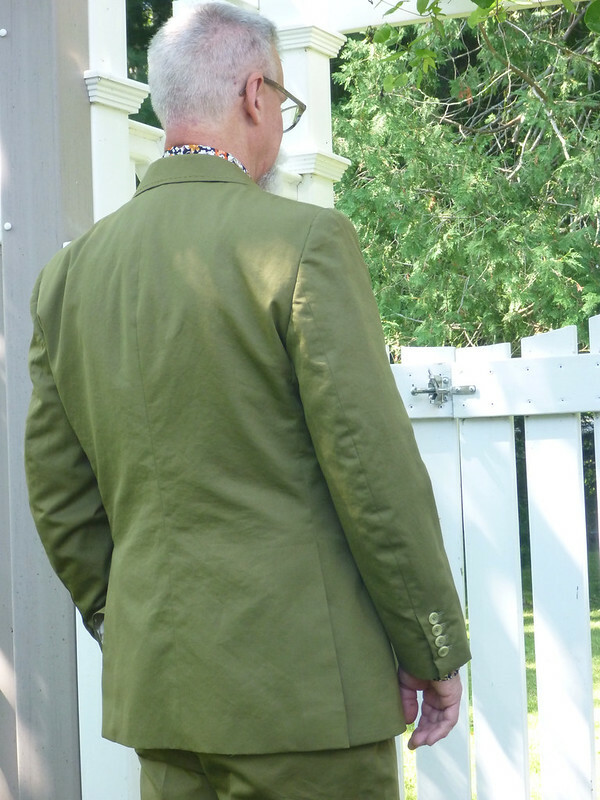 I added a pick stitch detail to the lapels, chest pocket and pocket flaps. I love this kind of customized detail. It really makes it MY suit. 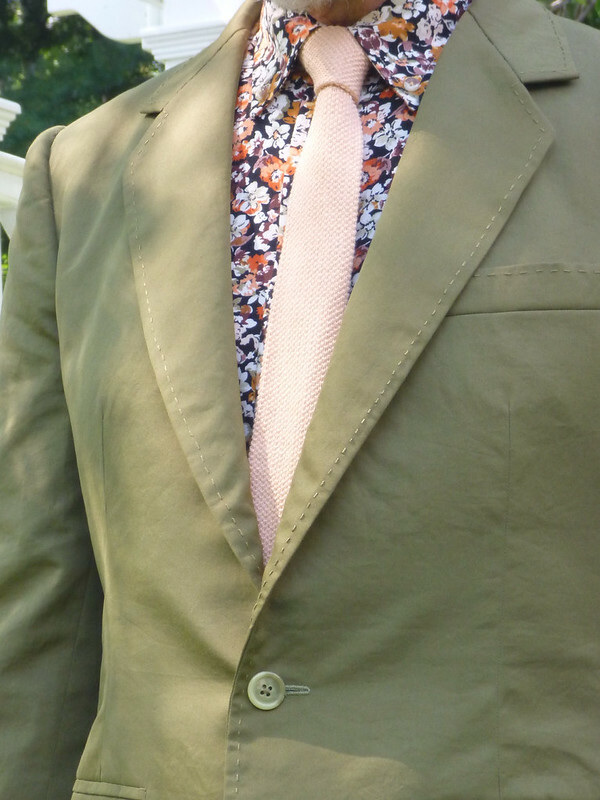 End result ... A slightly rumpled, yet classic, summer suit. I felt like a million bucks wearing it! And we can't leave out Evan, the stylish Westcoast boyfriend! 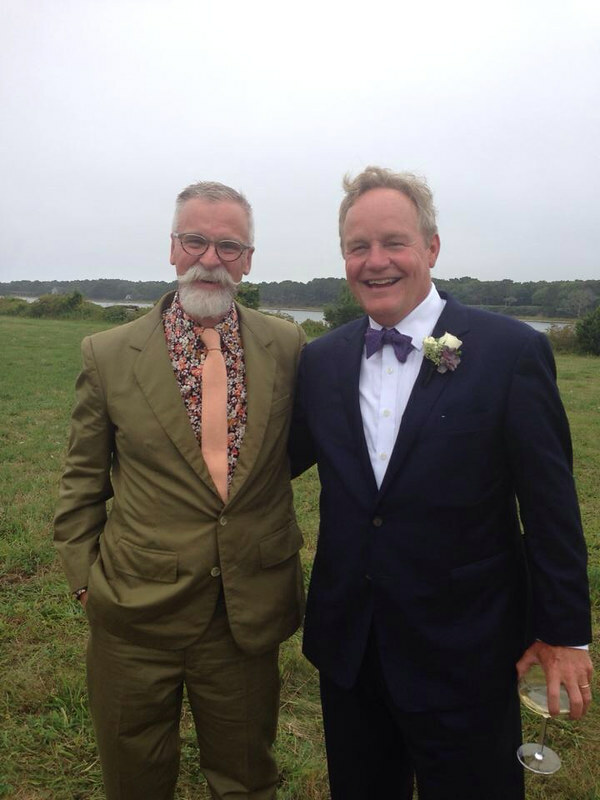 And lastly, here I am with my Brother in law, father of the groom. (AKA nicest guy in the whole world). So ends another project. 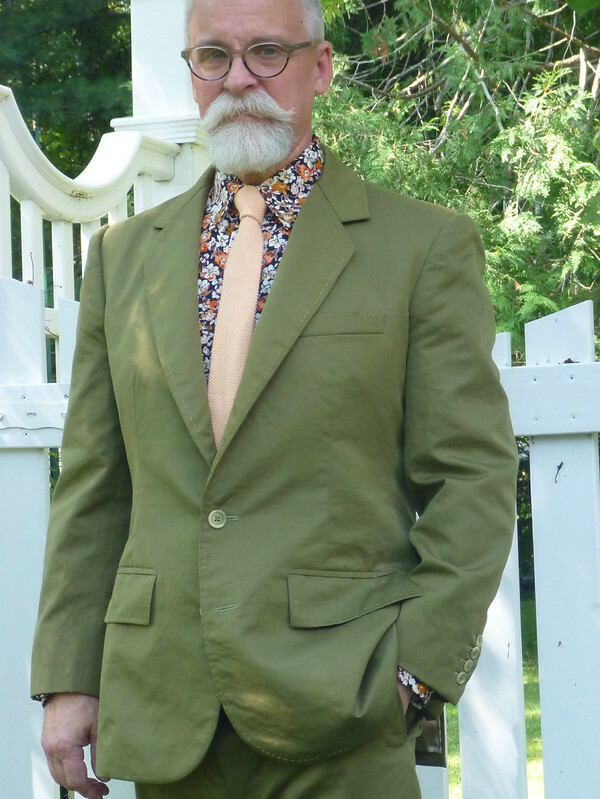 Thanks to all of you who offered words of encouragement as I navigated the world of tailoring. It's been a journey! 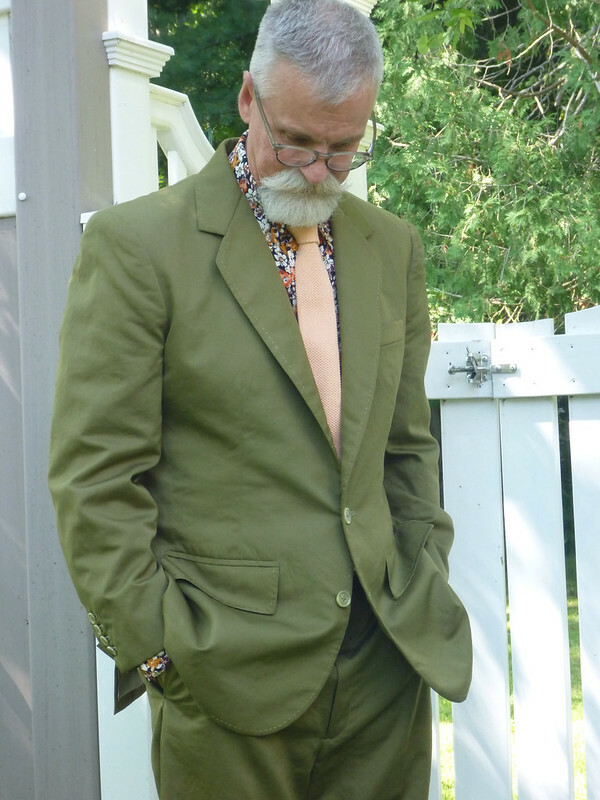 The suit is headed off to the cleaners, and I need to plot my next sewing project. Something for fall, my favorite season. Cheers!